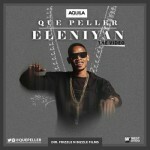 Aquila records artist magician Que Peller releases new hot and sizzling video for his hit single “JURU”, as a follow up to the hugely successful Eleniyan video. 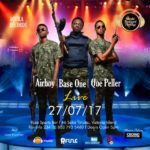 Que Peller broke into the limelight after churning out hits like ” Juru and Eleniyan ” which are both still waxing strong and gathering a lot of momentum on all major media platforms, on dance floors and on the streets alike. 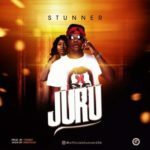 The song Juru, which is produced by Young Jonn and mastered by Suka Sounds is energetic and up-tempo, making a perfect fit with the vibrant, fun colors of the video which features dance routines choreographed by award-winning dancer, Kaffy. The director communicates and conveys a feeling, by creating an implicit dance story through great execution and a play on color and composition. 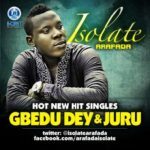 Juru features Que’s label mate Base One who adds his unique style of rap to the song. 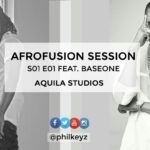 The video is directed by Frizzle, with technical assistance from Kaffy. The styling is a collective effort by celebrity stylists Jekwu and Swanky Jerry, as well as Kaffy.